You don't know me... I will eat 12 sting cheese sticks in a row and then eat the fried cheese sticks! Lol. Is this a personal attack? Mozzarella sticks are OK but you can tell they are just giving you the same stuff you buy at Walmart. 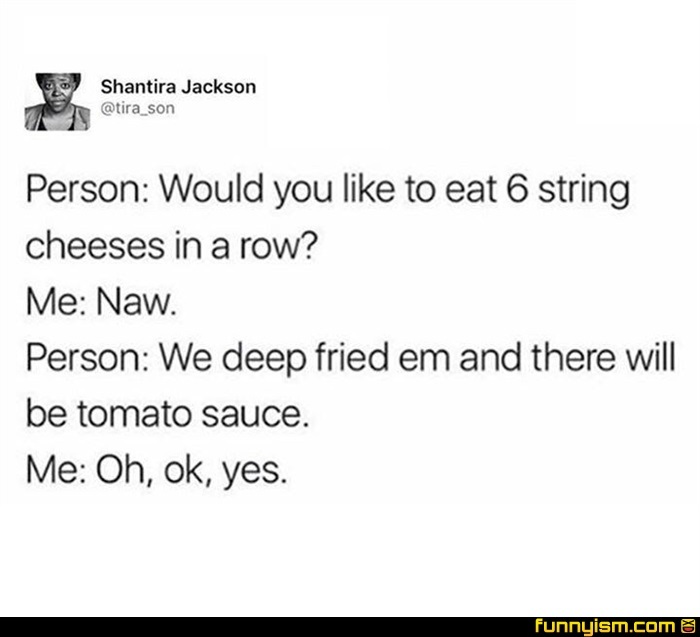 @CrazyRightWinger, I am the one who makes those cheese sticks at the Wal-Mart deli. If you can get them within 5 minutes out of the fryer, they are delicious. Anything past 45 minutes and they're rubber. To be fair, almost anything can be improved though deep frying.